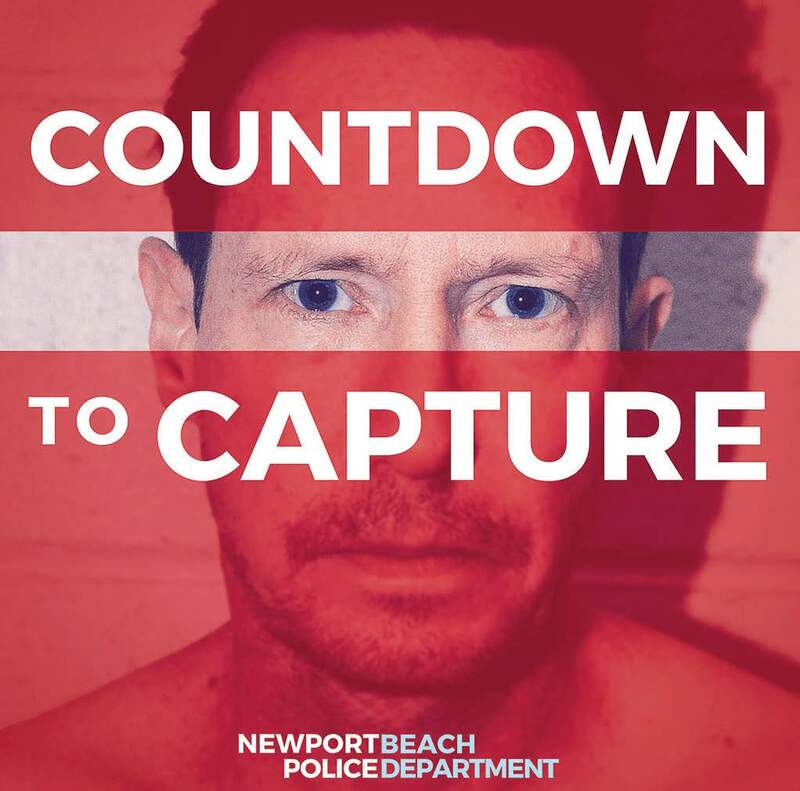 The Newport Beach, Calif., police department is testing out unique methods for reaching out to the public for assistance in cases. Jennifer Manzella, administrative assistant to the chief of police, stated that coming up with new ways to reach the public began in July 2018 with Linda’s Story. “We had just completed a project for a cold case homicide called LindasStory where we used Twitter to reach out for public assistance in identifying a murderer,” she said. 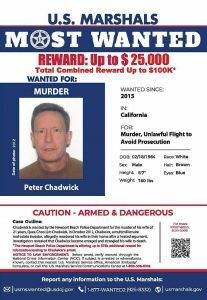 She was then approached by investigators later that month to come up with potential new ideas in asking the public’s assistance with locating Peter Chadwick. In 2012, Chadwick’s wife was murdered and he was arrested for the crime but fled before he could stand trial. Police believe he may have used his ties overseas as well as his wealth to disappear and possibly leave the country. Since the Newport Beach Police Department had already tried the typical ways of reaching out to the public, they asked for Manzella’s help to try something new. The podcast’s script was reviewed by both investigators and supervisory staff the same way they would vet a press release or any other information released regarding an active investigation. The introduction and all six episodes were recorded and edited prior to the podcast airing in September. Throughout the episodes, Manzella presents the public with an overview of the original investigation, court proceedings and Chadwick’s fugitive status. Also included in the podcast were messages to the public, the victim’s family and Chadwick. “We wanted to do everything in-house so it was a steep learning curve with the technical side,” Manzella admitted. However, by not hiring out for help, they did not have to worry about finding a way to secure funding. The most challenging part was learning to record the audio since she had not prior experience. Part of the experience was learning how to not only record the audio but also process it. She had to learn how to cut it together, how to host it online and how to distribute it. “We were on a tight schedule so we learned ‘on the fly’ from when the project began in early August to when the podcast was released in mid-September,” Manzell said. The community’s engagement in the case was well worth all the trouble, however. Manzella declared, “The response has been incredible. We started getting tips almost immediately and have seen international engagement.” While she does not have particular knowledge of other departments who are using a podcast, she has received phone calls from other departments regarding equipment recommendations. “If it’s a good fit for another case in the future, we might use it again,” Manzella said. 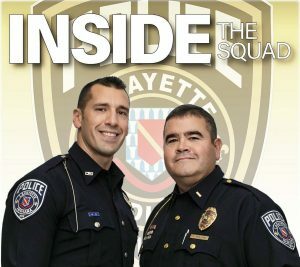 The Lafayette, Ind., police department began a monthly podcast in 2017 under Chief Patrick Flannelly. The podcast was named “Inside the Squad” and is part of the department’s ongoing community outreach and crime prevention. “Police Chief Patrick Flannelly thought the podcast could be another avenue of communication to further our missions of outreach and transparency, especially at a time when police were experiencing image issues nationally,” Patty Payne, director of marketing and communications, explained. In order to get started, Payne described how “Chief Flannelly, with the support of Mayor Tony Roswarski, pulled in the city’s (information technology) and marketing departments to meet with the staff at MatchBOX, a city-partnered co-working studio, to coordinate schedules. Enthusiasm was high from all parties who were eager to share their pride in LPD and the continuing efforts to stay progressive and transparent. 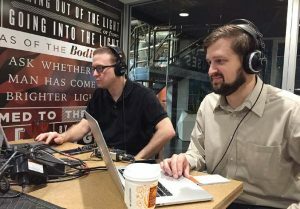 Recorded at MatchBOX Coworking Studio, the podcast is hosted by Lt. Brian Phillips and Specialist Ian O’Shields; produced by civilian IT technicians Tom Melville and Alan Schwab; and directed by Payne. While the podcasts originally came out at the beginning of each month, Payne stated that it “now has a more relaxed timeline that is scheduled whenever guests can be slotted for the multiple fresh topics in the queue.” The lengths vary from 10 minutes to an hour and the details vary from episode to episode, though their primary focus is on public safety accomplishments by the police department in the greater Lafayette area. also discussed police habits when it comes to nutrition, exercise, sleep, stress and even the department’s hiring process. The podcast has received primarily positive feedback, and everyone involved has enjoyed seeing the podcast’s viewership reach 11,000. Since community interaction is one of the primary focuses of the community outreach and crime prevention unit, the podcast’s listeners and followers are able to interact by emailing questions and comments to podcast@lafayette.in.gov.